Review Summary: Overall, Akhil is very outdated and routine. It's the story of a 'Jua' created by some Maharishi's million years back that draws the attention. As the Jua is fixed at the equator, the animated episode wonders us. Back to present, Akhil is an orphan (as are many Telugu heroes on screen) who falls in love with a medical student. Akhil was the only saving grace of this otherwise third degree torture. He is spontaneous, energetic and futuristic star. He carries the entire film on his shoulders and entertains the audience in his sphere of role. Can give it a watch for the Akkineni scion. Overall, the movie is very outdated and routine. Akhil made an impressive show with his dance and action sequences. However, the content of the story and some over the top scenes mars the film’s expectations. Saving the world is a concept that’s very ambitious in Telugu cinema. Going to Africa and saving the world is something that needs to be executed with a lot of deftness and should be made sure that audiences don’t lose connect with the goal of hero. VV Vinayak who is regarded as star director has taken an international backdrop to direct this movie. Though he has succeeded in launching Akhil as a star with huge potential, he should have taken care in treatment and logic. We need to wait and see how audiences embrace the film as VV Vinayak has strong connect with masses! He could have make up for his mistakes with an exciting finish to the movie. But there comes a knockout punch from the director with a climax that is absurd to the core. Those graphics are pathetically done and there is not a single exciting moment in the hero's adventure during the climax. Nagarjuna's cameo appearance in Akkineni song will please the fans. Akhil dances and confidence will impress the audience. Akhil chose a wrong script for debut and sadly an experienced director like Vinayak messed it up big time. If there is anyone to blame with this film, it has to be Nagarjuna for selecting a lackluster script and VV Vinayak for benighted direction. Nowhere, Vinayak succeeded to sustain the audience interest. Probably, he might not have understood what Jua means and what’s the power of adding a love story to it? Narration goes comprehensively on a flat note and execution touches lowest of ebb with each episode. Comic scenes added into the narration stood worst dealt in Vinayak career. A socio-fantasy that could have been saved from seeming like a half-baked attempt at delivering half-hearted heroism. Akhil's reasonably good debut is all that is there for Akkineni fans. Akhil's entry was shown in a stylish manner but the sentiment scenes with Rajendra Prasad didnot go down well. Similarly the scenes in Spain but he made it up with high voltage action scene before the interval. Vinayak for all his experience and reputation of gauging the pulse of the masses failed to cme with strong story,gripping screenplay and direction. He failed miserably in his execution. After watching the film many are left to wonder why Nagarjuna selected Vinayak and how did he fail his expectations. 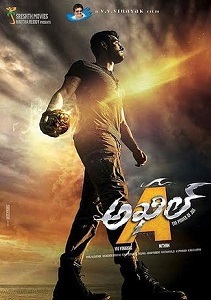 Vinayak has succeeded in launching Akhil as a star with high dance and fight skills. Thanks to Vinayak, we now know what Akhil can do in his future films but the movie doesn’t work at all with narration goes completely aimless. On the whole, Akhil – Power of Jua is a total waste of time, energy, money and is excruciatingly drilling. Most prestigious and much-anticipated movie that marks the full-length debut of Akkineni Akhil fails to live up to the expectations. The first half of the movie sets the pace of the movie, and it has so many illogical and uninteresting scenes made given elevating heroism. The first half of the movie is not so good and also not bad. It also ends in a not so interesting way. Second half starts slowly, and it also has not so interesting scenes. Brahmanandam comes in the second half as Johnson and Johnson and generates some laughs. Many artists are wasted in the movie, and they are not used up to their potential. This movie is all about Akhil, and it showcases Akhil as a handsome lad and his breathtaking dances and fight sequences. Watch if you love some comedy and action. On the whole, Akhil – Power of Jua is a total waste of time, energy, money and is excruciatingly drilling. You can go on and on about the films flaws but then can this feign be called a movie in the first place? Lets Film maker decide that first.